MPSC Civil Judge Recruitment 2019: The MPSC is inviting candidates from all over Maharashtra to apply online for the MPSC Civil Judge Recruitment 2019. Candidates who are interested are requested to complete their online application from the official website of the MPSC @ mahampsc.mahaonline.gov.in. This is the ideal opportunity for you if you are a candidate who is seeking a govt job in the law and judiciary sector. Make sure that you make full use of this amazing opportunity provided by the MPSC. If you are eligible for this recruitment then we request that you send in your online application form before the last date on 21 February 2019. The recruitment aims to recruit candidates for the post of Civil Judge (Jr. Division) in Maharashtra. All the details regarding the application form, Civil Judge Salary, Eligibility criteria, and application dates are all enumerated in the article below. So do make sure that you go through the article once before you apply online for the MPSC Civil Judge recruitment 2019. Kindly make sure that you are eligible for the post of Civil judge before you apply online. Minimum Qualifications LLM/LLB from any government recognized college with at least 50% marks. 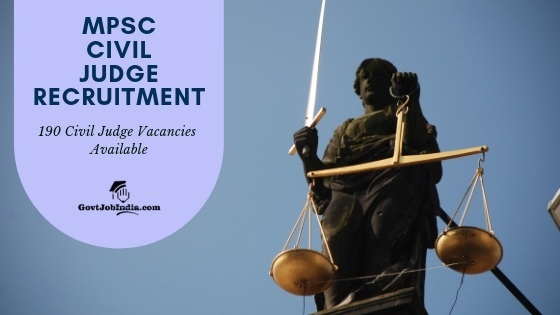 How To Apply Online For MPSC Civil Judge Recruitment 2019? Candidates throughout the country can apply online for this recruitment by following the steps provided below, Kindly ensure that you submit the online application form before that last date on 21st February 2019. OR consequently, you can go to the link given below and apply directly from it. 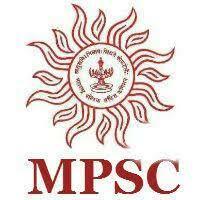 The link will take you to the official website of the MPSC. This must be exactly according to the requirements expressed by the MPSC in their notification pdf. We hope all the details provided here has been of use to you. Make Sure that you complete the MPSC Civil Judge Online Application well before the last date on 21st February 2019. All the best for your recruitment. If you have any doubts then kindly address them in the comment section below. We are always available to assist you.